These are the reviews for Corn Mill Annexe. There are 26 reviews. It was so clean, well equipped, very quiet location. We enjoyed this place very much!!! Excellent, very cosy and comfortable. Good location, peaceful, with pleasant outlook. We had the last week of the season in October. The cottage was very comfortable and most evenings nodded off in the relaxing recliners. The bed too was very comfortable. The cottage we found to be warm and lovely to come back to after being out all day. For a quiet and relaxing break this cottage is ideal. If there was a downside then that was only because there was no dishwasher. There was no internet either but actually that was a plus and not a negative. It is surprising what you can read if you have not internet ! The owners Alan and Julie could not have been more helpful. Well worth a stay. This cottage suited our requirements. It was quiet, comfortable and in a delightful setting. It was a pleasure to come back to. The cottage was extremely well equipped and very clean. Location was remote but suited us as that's what we wanted lovely peaceful holiday! 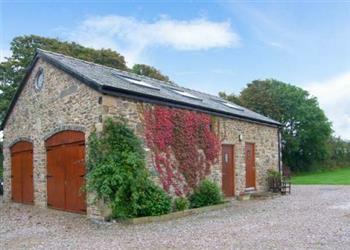 Would recommend to anyone looking for a quiet and relaxing holiday in Anglesey. I particularly liked the excellent quality of the accommodation and the comfortable queen size bed. 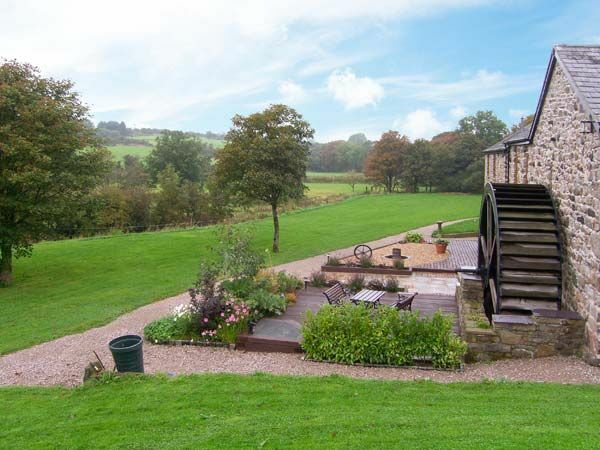 Corn Mill Annexe is furnished and equipped to an exceptional standard; at the level that one might choose for one's own home, rather than short-term visitors. The owners could not have been more helpful. The cottage was very comfortable and furnished to a very high standard, with very good walks directly from the cottage. The location and overall quality of the accommodation was excellent and I have no complaints whatsoever. Will definitely go there again. A perfect location from which to explore the island of Anglesey. The cottage was comfortable and elegant, it exceeded my expectations. A great holiday. We were both impressed with the size and overall standard of the property - we have stayed in numerous cottages in the last 3 years and this was without doubt was the very best! The situation of the cottage was gorgeous - deep in the country and down narrow lanes, but I hasten to add not busy ones and with plenty of passing places. We could both thoroughly recommend this property for the spaciousness, standard of fittings, cleanliness and lovely setting. A lovely Annexe, had good quality furnishings, was very clean, very comfortable, and most of all, quiet! Very warm welcome by owners. So peaceful and cosy, spotlessly clean and close to loads of coastal walks which were all listed in welcome folder in the cottage. Would recommend this cottage to anyone. This is a most delightful cottage with every comfort you could wish for and beautiful surroundings. 10 out 10 from me. A beautifully presented holiday cottage, one of the best we've stayed at In a lovely location - peaceful and quiet, with a beautiful garden and friendly helpful hosts. Anglesey itself is a gem. The cottage was one of the best places we have stayed in, it was spacious, comfortable, clean, well equipped and furnished to a high standard. The grounds were stunning and so peaceful with its own waterfall a lovely place to relax and unwind. The owners were thoughtful, kind, friendly; nothing was too much trouble for them. We particularly liked the friendliness of the owners and the cleanliness and thoughtfulness of the property. Lovely peaceful setting of the property, helpful owners, beautiful cottage! We enjoyed the tranquillity of the rural setting and the comfort of the cottage. We found the hosts to be very helpful. It was a brilliant place, everything was so good and the owners so thoughtful. The garden was stunning, we did have good weather which did make a big difference, also outside there was plenty of seating, you could move with the sun. Absolutely fantastic oasis of peace, beauty and tranquillity. Wonderful owners friendly and helpful - on hand if needed but not intrusive. The most difficult thing for us was forcing ourselves to leave this paradise to re visit our favourite places on the island! Very peaceful setting and lovely spacious grounds to property. Helpful owners. Excellent standard of property set in a beautiful location. Spacious property in an idyllic setting with its own waterfall. Despite being off the beaten track, most places were quite easy to get to. Friendly and helpful owners on-site. Secure, peaceful and extensive grounds to enjoy outside the property. Inside the property was a very high standard and we found the spacious living room area great for our 14 month old to toddle around in. Handy location for various attractions around the island. One of the best places we have rented. Thanks Julie for a lovely week away from it all. The Annexe was a fantastic place to stay in. It's definitely worth having a break in a wonderful place like that. We would love to go again. If you're looking for other cottages around Corn Mill Annexe, we've got some cottages below which may take your liking. There are 43 cottages within 5 miles of Corn Mill Annexe - and they have reviews too.